News | Portsdown have moved! It's been a busy few weeks at Portsdown! 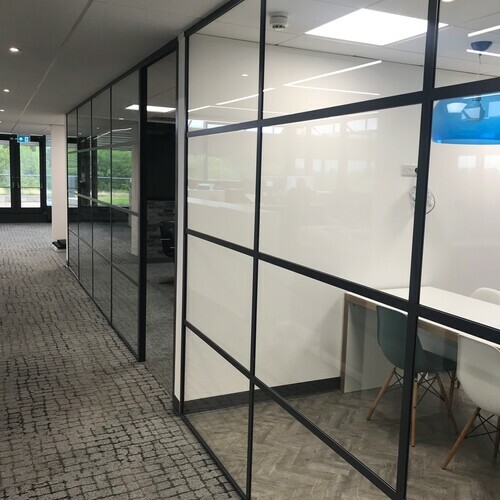 Along with an array of projects across multiple sectors, we've just completed our own interior fit-out for our new office at Lakeside in North Harbour, Portsmouth. 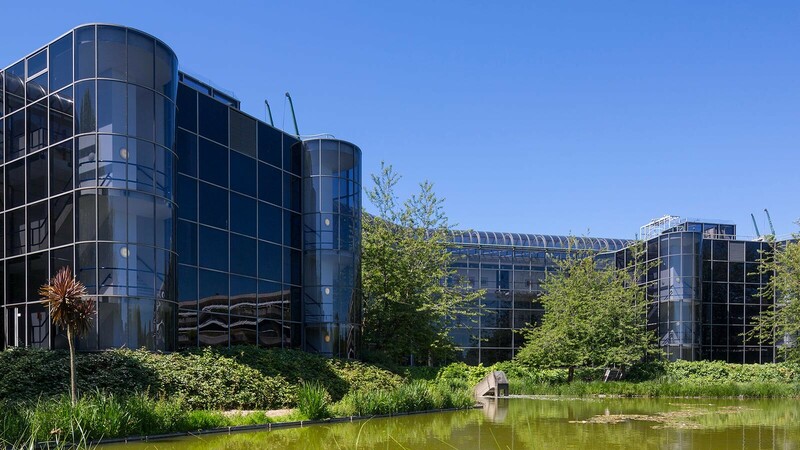 With a name like Portsdown, it's hard not to stay away from our roots... that's why we recently made the move from Chichester 15 miles west to Lakeside North Harbour, a superb business centre which, yes you guessed it... is nestled beside a lake! It also sits just south of Portsdown Hill, where we took our name from over 35 years ago. 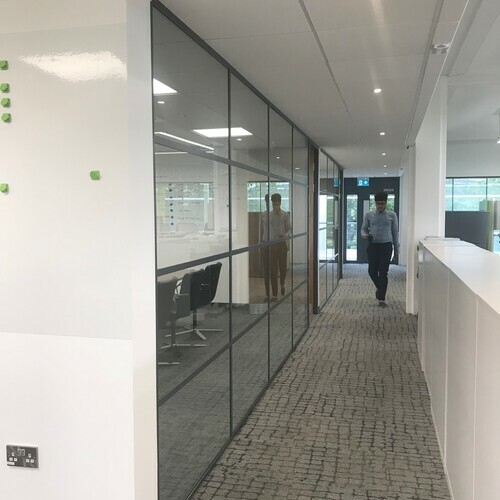 Along with excellent facilities including a business lounge and Winter Garden, our new home at 3000 Lakeside comprises of 2500 sq ft of office space that we've had a lot of fun with during the design and fit out stages. 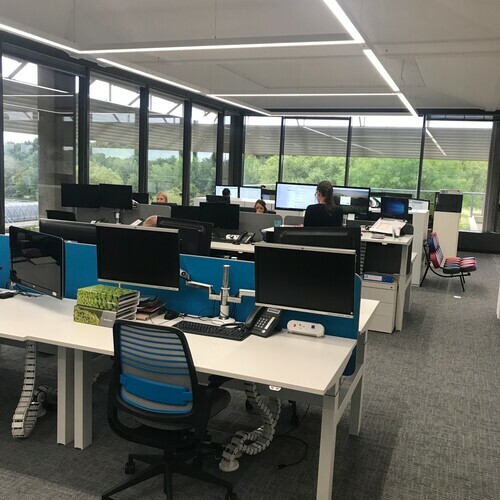 We fitted out the office with support and help from our supply chain partners. 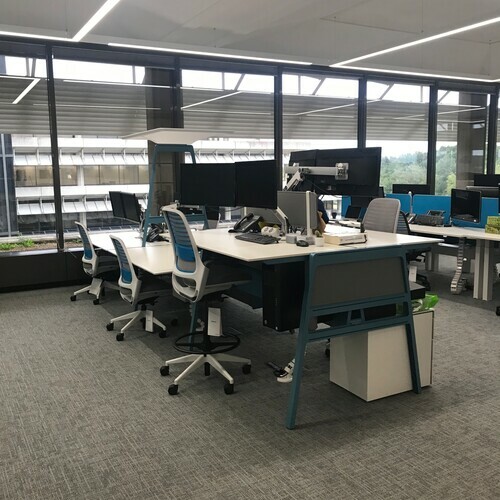 Working with so many furniture manufacturers across the UK and Europe made it difficult to choose, but our design and fit-out teams used their extensive product knowledge and experience working across multiple office fit-out projects over the years to select the most appropriate furniture for each space. We felt each supplier should be represented and their products aligned to the interior design vison for the space as well as working within the operation of the business allowing us to work, meet, socialise and collaborate within a dynamic space. 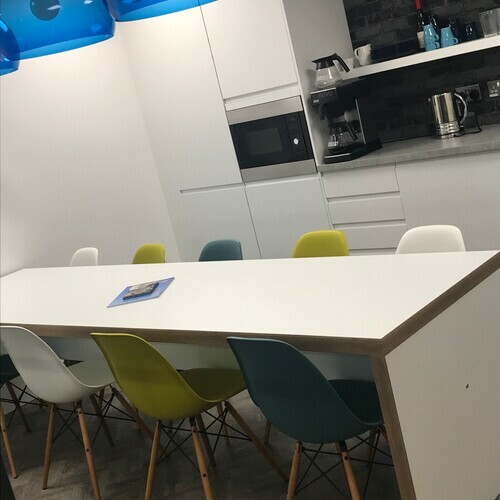 Throughout the design and fit-out process we have been our own client to our Design & Build team to create our own inspiring workspace which includes all the elements we feel make up the perfect workplace for ourselves. 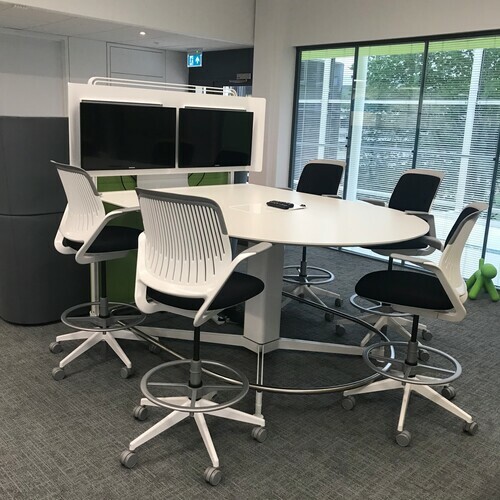 This includes collaboration spaces, electrical height adjustable desks, Design Lab, meeting rooms and concentration spaces. Feel free to pop by if you're in the area and we'll be more than happy to show you around our new office as well as explain the how we designed the space to meet our growing needs. Previous Post / Want to see a magic trick? !